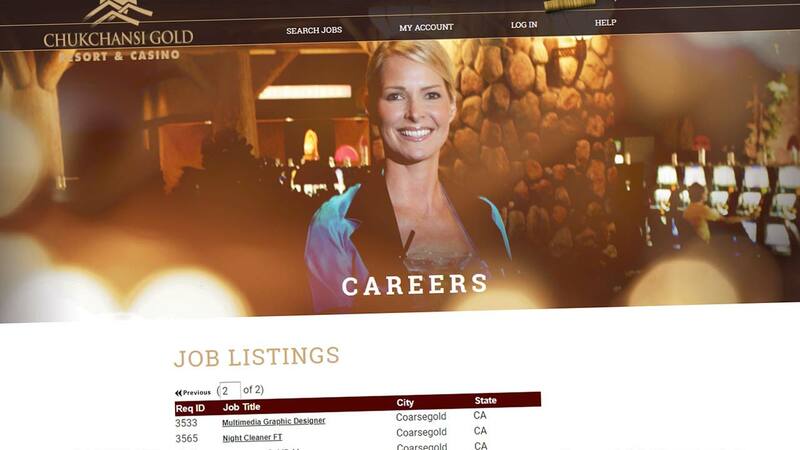 Screen capture of the Chukchansi Gold Resort and Casino careers page. FRESNO, Calif. (KFSN) -- The facility is looking to fill 85 part-time and full-time positions across all of their departments. The job fair will be held Tuesday, April 10th from 11 a.m. to 3 p.m. at the Firehouse Lounge at the casino. "Chukchansi is an exciting place to work with competitive wages, employee events and discounts and much more," said Barbara Mendez, Chukchansi's Director of Human Resources. "We're looking for talented, dedicated people who can work together in a team environment to provide a memorable experience for our guests every day." As always, be prepared to fill out an application, bring your resume, and dress to impress. Date: Tuesday, April 10 from 11 a.m. to 3 p.m.